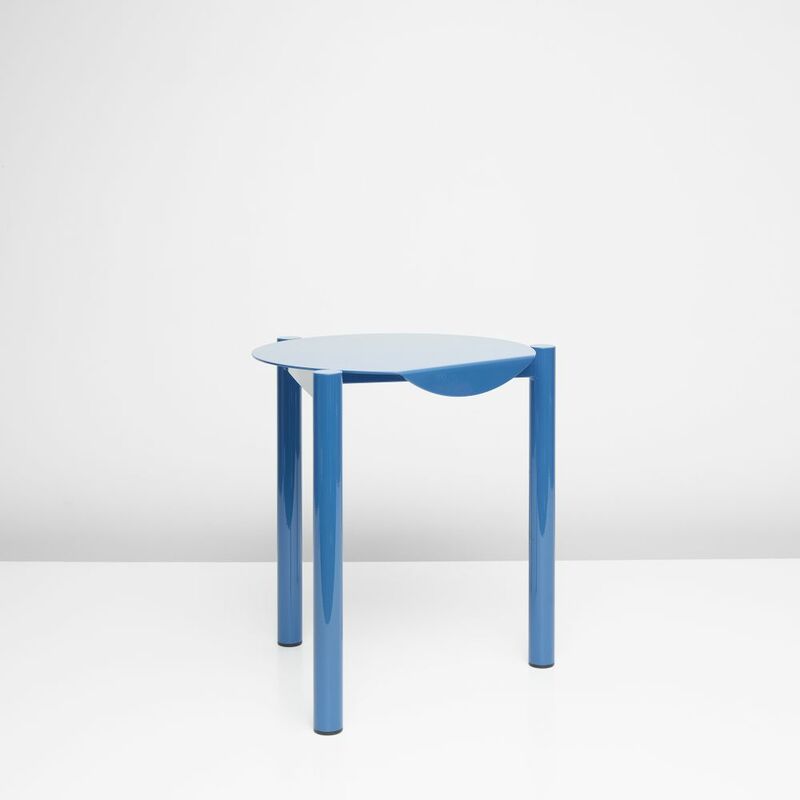 The Stühl 2 sidetable/stool is part of the Stühl series launched at London Design Week 2015. It is a striking, stark, yet inviting design. Using traditional manufacturing techniques this powder coated steel chair showcases our trademark graphic minimal style. Presented in a bold utilitarian blue, the Stühl 2 is a stylish, modern and practical design that can be used as a table or stool.